Are you a Watsons Elite member? 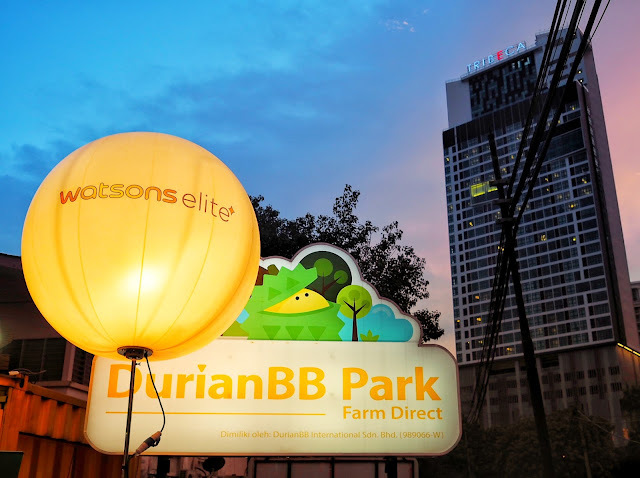 Last weekend I had so much fun at the gathering of Watsons Elite members in Durian BB park at Jalan Imbi, this was a “money-can’t-buy” experience because this party is exclusively by invites only. 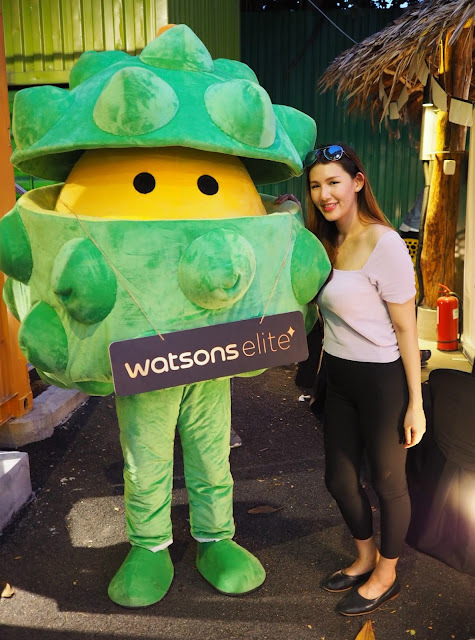 Watson has planned a night out to rewards their loyal customers with good food and partied with some of Malaysia’s top celebrities. The party was themed durian, guests were fed with local delights and of course the king of fruits, the durian, which consisted of the Musang King and other mixed varieties. Watson's also prepared fun and exciting carnival games for their guest with prizes to be won! There was also a durian talk session that's conducted by Dr Abdul Aziz Zakaria, whose experienced in research on various species of durians for the past 30 years. 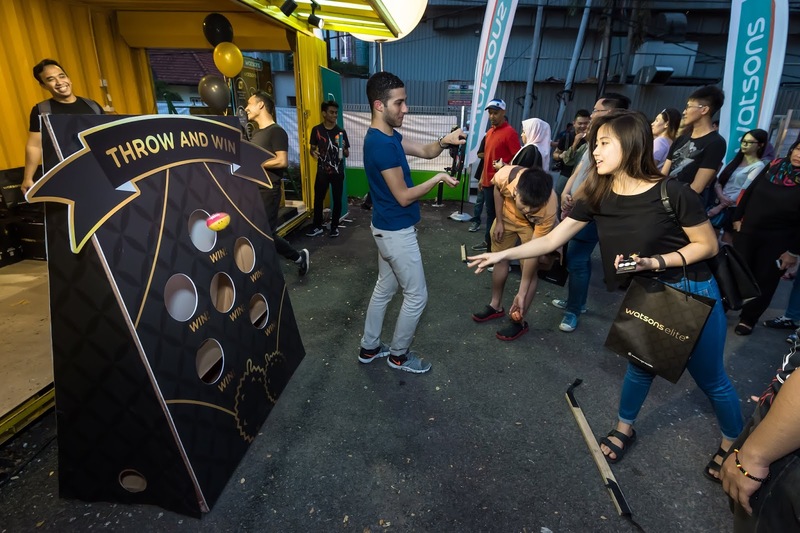 Elite members also got to engage with top Watson's celebrity friends in games and activities such as durian eating challenge and durian weight guessing contests. The party ended with attractive lucky draws for all. 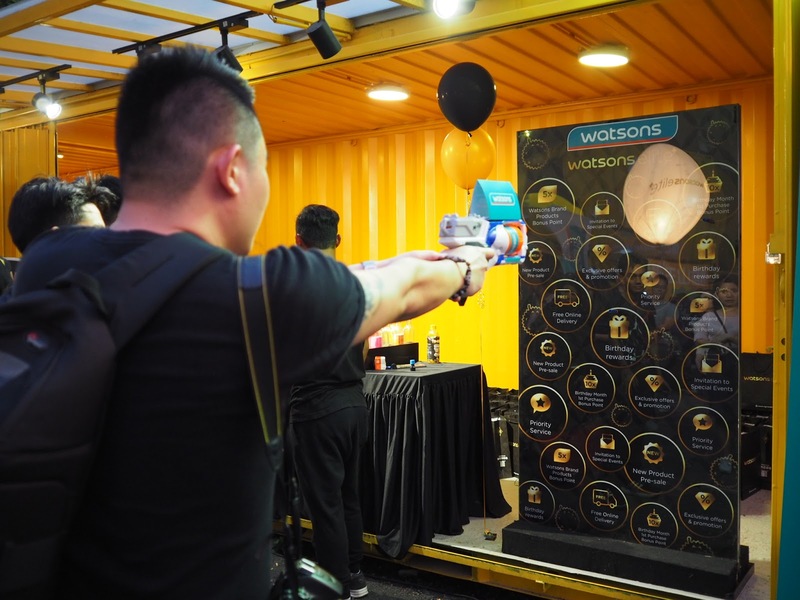 Watsons was launched earlier this year, membership is automatically upgraded to Watsons Elite membership once accumulated spending reaches RM1,000 spending within a year. Benefits of being an Elite member? 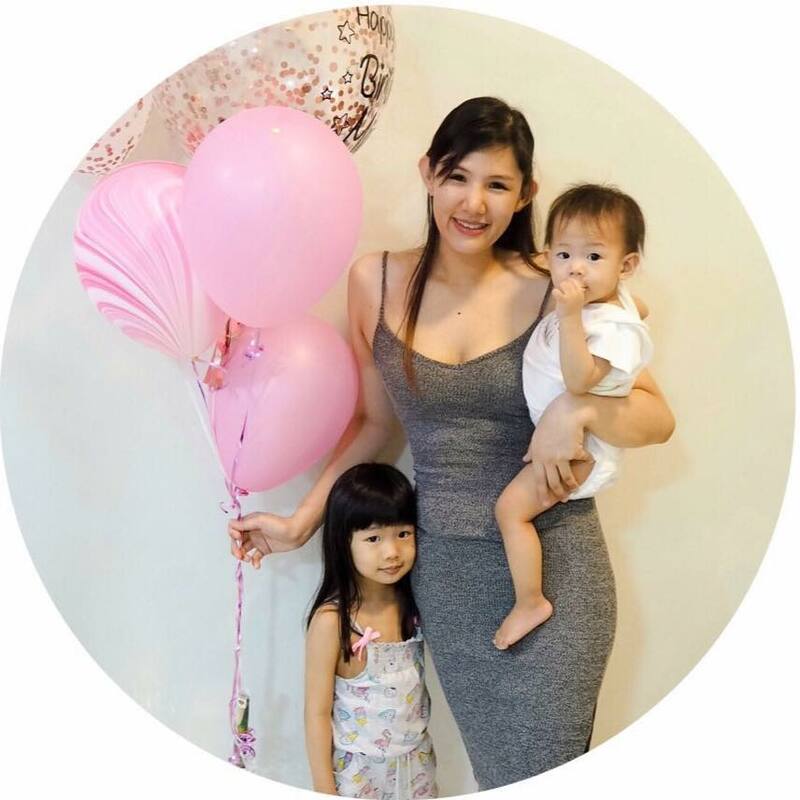 #1 Earn 5 x points on the purchase of Watsons branded products and 10x points on their first purchase, during their birthday month. #2 Enjoy free monthly delivery on the first online purchase at every month. A unique free delivery promo code will be sent to Elite members monthly. #4 Invites to events such as meet-and-greet do's with celebrities, movie premieres, beauty and health workshops and more. #5 Be the first to try the latest health and beauty products and be the first to purchase newly launched products. For more details on how to be part of the Watsons Elite membership and terms and conditions, please visit www.watsons.com.my/promo-elite for more details. There are really a lot of benefits being a watson elite member. I should grab this opportunity too. 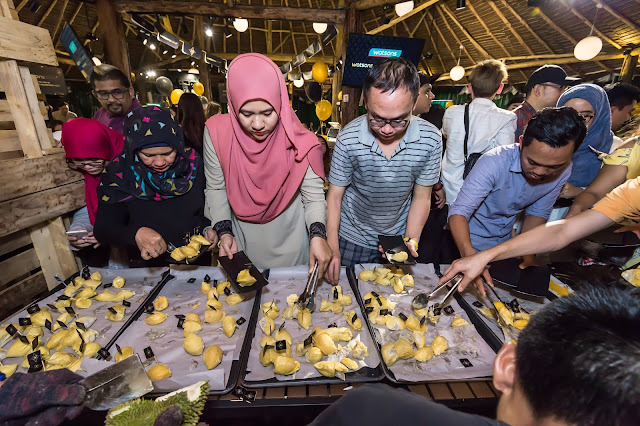 And that durian party, that is soo good! wah.. TB Watson Members gak.. tapi tak tahu menahu pasal ni pun.. bestnya .. watson elite card berbeza ke dengan watson members card yang biasa ye..
great! i watson member. tak sure elite or not, jia. hopefully yes lah. kalau ada event camni in Melaka, confirm i join. interesting! watson ada mcm2 brg yg murah. best. then kita dpt points kan. best lah. Always wanted to try the watson membership and when the cashier asks me if i want to apply, ill be like meh whatever. didnt know there are many previlages. 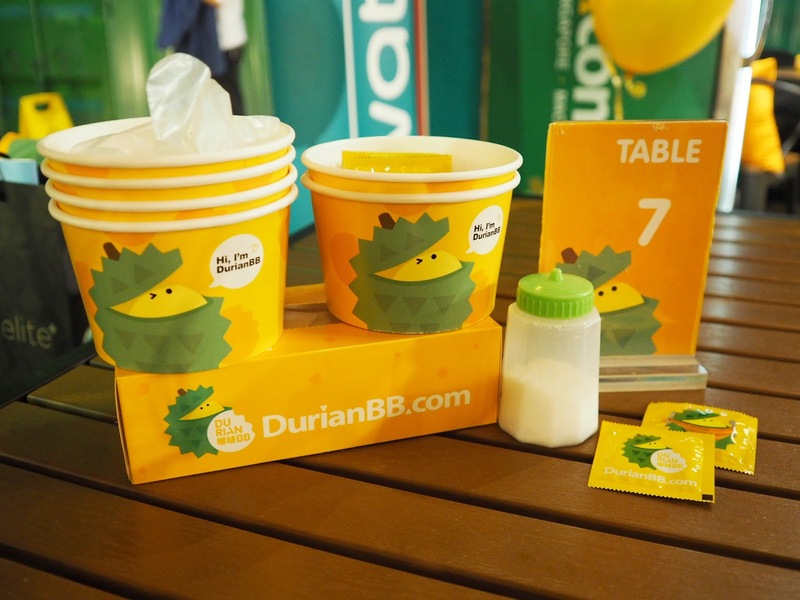 Omg all about durian. Thanks god i dont like durian. Kalau tak mesti best join party ni. Btw meriah betul party. Omg party durian sedapnya . Macam2 jenis durian boleh rasa . I pun nak jadi Elite Member Watson juga. Watson mmg pilihan I kalau beli barang. Syoknya kalau jadi Watsons Elite members! Sebab Yaya memang beli semua barang keperluan dan penjagaan kat Watsons sahaja. I love shopping at Watsons - every single month and now looking forward to get promoted to Elite too. Haha. alaaa untuk member je ke? nak kena daftar jadi member elite jugaklah camni. boleh join party2 macamni, dapat kenal ramai orang. Ada pulak party duran ya sis jia shin lee. Menarik jugak idea dari watson ni. Lepas ni jual produk berasaskan durian pulak. Whoa. I already register last time. Didnt know that I sebenarnya boleh pergi event Watsons macam ni.